It’s Monday! What are you reading? Join in with Kellee and Jen’s meme and share all the pages you have been turning in the past week in picture books through to young adult reads! 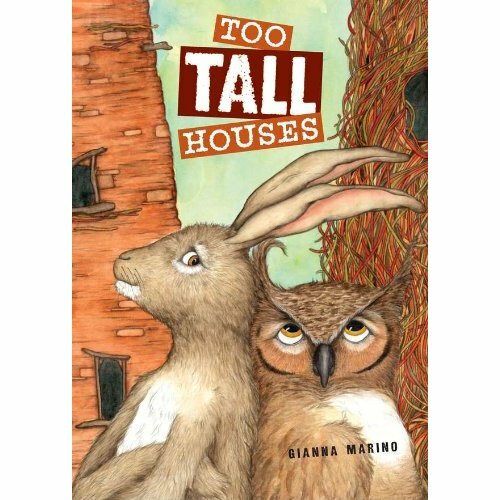 Too Tall Houses by Gianna Marino This is probably my favourite discovery of the week, I read this at our primary gathering to fifty plus little listeners and we were all delighted with it. The pictures are stunning and do things that illustrations typically don’t do like . . . suggest that they are leaving the Earth. Amazing. And fun to twist and turn the book around to see what is happening. Owl and Rabbit live next to each other atop a hill. Rabbit enjoys the sun to grow fresh vegetables. Owl likes the view to watch the forest. When rabbit’s vegetables begin to obstruct Owl’s view, their relationship gets inconsiderate and competitive as they race to build their houses ever taller than the other. Eventually they discover that when alone, they have nothing but together . . . Well read and find out but I bet you get the idea 🙂 Highly recommended! 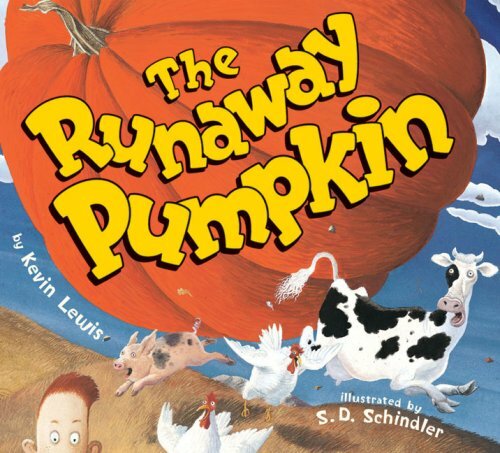 The Runaway Pumpkin written by Kevin Lewis and illustrated by S.D. Schindler This was one of my leading up to Halloween reads. It isn’t new for me but I haven’t read it to a class for quite a few years. I love the rhythm of the story and can’t read it aloud without tapping my feet and getting very hungry for all of the imagined pumpkin treats that Granny might bake! 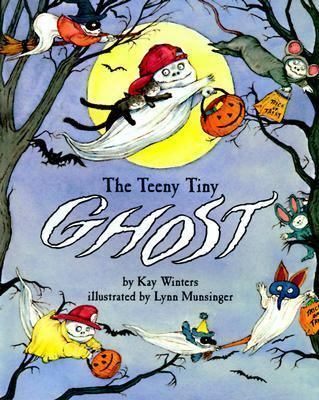 The Teeny Tiny Ghost written by Kay Winters and illustrated by Lynn Munsinger Another Halloween read with some great repetitive language for a “join in” feel to the read aloud. We also had an active discussion about whether it was possible for ghosts to really be scared. Since I don’t know any ghosts. 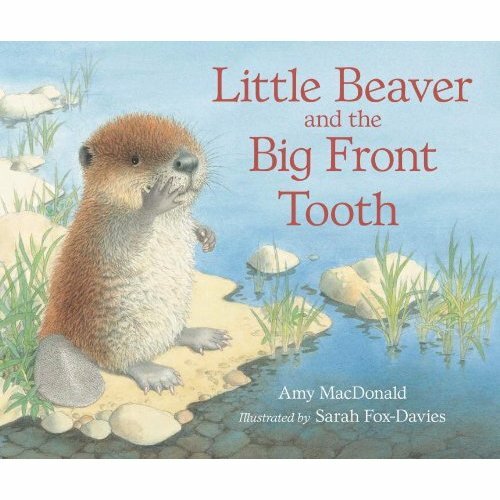 . .
Little Beaver and the Big Front Tooth written by Sarah Fox and illustrated bySarah Fox-Davies The class really enjoyed this book read by our BLG reading volunteer this week. I will be sharing the student’s reactions on the blog this week. Poor little beaver has a loose tooth and begins to doubt he really is a beaver because isn’t it those big teeth that make a beaver a beaver? As he searches for his answer we meet many other forest animals. Adorable. 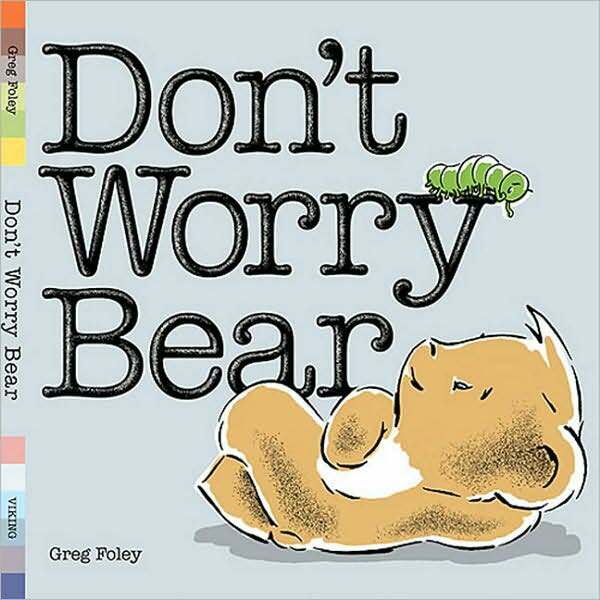 Don’t Worry Bear by Greg Foley Bear worries as caterpillar builds a cocoon. He worries at night, in the wind, in the rain and when it snows. He especially worries when caterpillar seems to be gone. But a beautiful silk moth flutters by and lets Bear know that his friend is right there with him. Simple text and illustrations leave lots of room for questions and discussion. 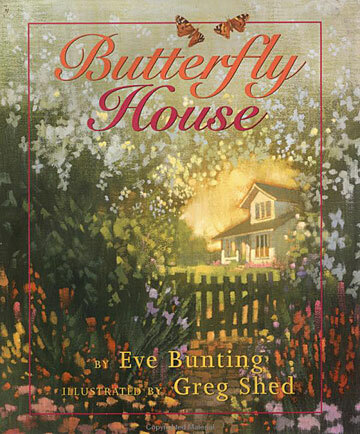 The Butterfly House by Eve Bunting, illustrations by Greg Shed. I love the lyrical text and the glowing illustrations in this book. Most of all I love how it asks us to mix up science and what seems to be magic, to suspend our disbelief and trust that a butterflies’ migratory instinct might extend to an individual person. As I love to plant flowers in my garden that are supposed to attract butterflies, I am very intrigued by the suggestions in this story. Every time a monarch lands on a flower, I believe in magic and wonder and the beauty of nature. This book celebrates just that. Now I want my own copy! And speaking of magic . . . 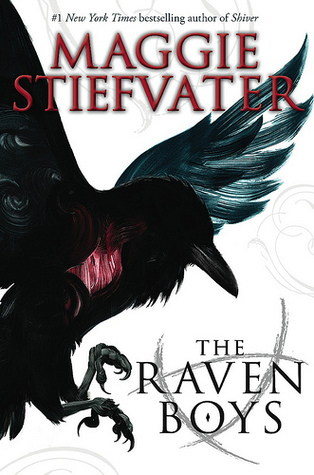 I finished The Raven Boys by Maggie Stiefvater This is definitely a young adult read. This book was so full of magic and mystery, I kind of believe that it conjured up a bad flu to send me to bed to make sure I would have hours to just read and fall into the world of prophecy, desperate searches for magic, a place of real and unreal and twists and turns every few pages. And the characters. . . Wow. So happy this is a trilogy so I don’t have to say goodbye to these characters yet. Adding myself to the impatient group waiting for Book 2. This entry was posted in It's Monday What are you reading? and tagged Amy MacDonald, Eve Bunting, favourite illustrators, fiction, Gianna Marino, great read alouds, Greg Foley, Greg Shed, Halloween, Kay Winters, Kevin Lewis, Lynn Munsinger, Maggie Stiefvater, Monday reads, picture books, S.D. Schindler, Sarah Fox-Davies, young adult selections by carriegelson. Bookmark the permalink. Myra I did get the ping back! Thank you! I am glad you enjoyed that title. The Raven Boys was so riveting. Find a chunk of time and dive in. Yes, I am also a big Eve Bunting fan. Don’t know how I hadn’t read this one. It is gorgeous. And if you like it . . . The Prince of Butterflies by Bruce Coville has a similar feel. I have a copy of that and want to read it as a companion when I share Butterfly House with my class. There are so many lovely books by Eve Bunting, & I don’t know this one, either, Carrie. The one I really loved hearing about is Too Tall Houses. It sounds like a book that cries out for a discussion about friendships & compromise. And, you’ve pushed me into going back fast to Raven Boys. I need to find the time! Plus, you mentioned trilogy, but when I saw Maggie Stiefvater, she said four books! More to love, I guess! Thanks! Four books! Oh my! Well, I am not going to complain about that! Good luck on finding some time to read it. I don’t wish my flu on anyone but it did help slow me down enough to get some reading done. Too Tall Houses is wonderful. I’m sure you would enjoy it a lot. More love for The Raven Boys, which I need to get to. And, yes, I’ve heard Between Shades of Gray is gripping; can’t wait to hear your final thoughts on it! I just added the Too Tall Houses PB to my TBR — the cover illustration looks great! I read a bunch more of Between Shades of Gray last night. Wow. Haunting truly. Kept coming into my thoughts today. Yes – find time for The Raven Boys. Fascinating concepts in this story. I really liked The Raven Boys too! And there will be 4 books?!? Exciting! Between Shades of Gray was powerful. I am very excited about this 4 books possibility! Wow. I am really enjoying Between Shades of Gray. So intense. Little Beaver and the Big Front Tooth looks adorable. One of the books in my stack (which I’ll be blogging about later) has to deal with teeth too! Very cute! I’m going to check out your blog for the “tooth” book! I am definitely going to check for Too Tall Houses at the library, it looks and sounds great. Owls, bunnies, and other forest creatures can be so expressive as characters in picture books, can’t they? This book is a real winner. The expressions on the characters’ faces are phenomenal.